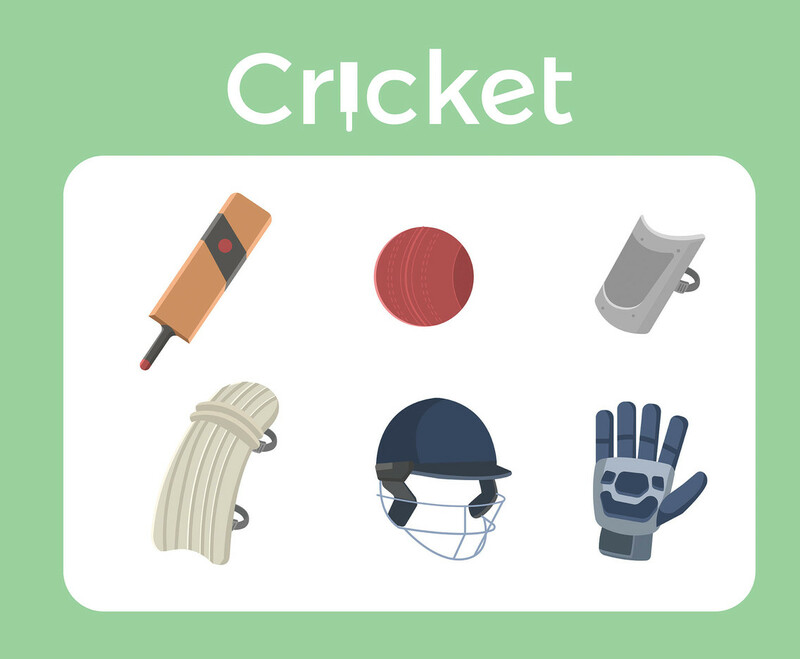 Here are six icons of different cricket equipment, like a bat, a ball, a helmet and so on, presented in a white and green background. I hope it can be useful for your design projects. Enjoy!